Need ideas for outfitting your restaurant or bistro staff in apparel they love to wear? Our 100% cotton denim (8.5 oz. 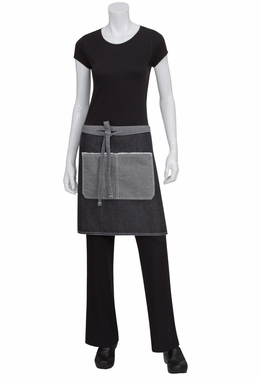 fabric) Bronx bistro apron has a comfortable feel, it wears like their favorite pair of jeans. This apron is sized at 28.5 inches in width and 19 inches in length. 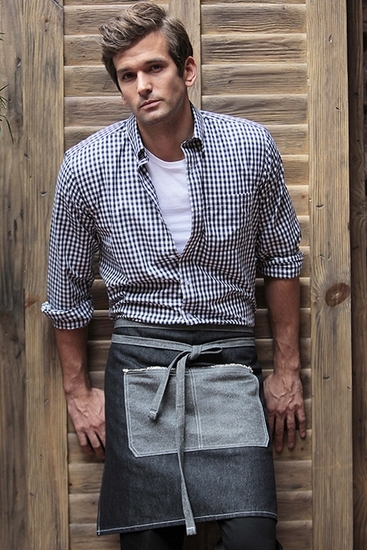 This sturdy apron is made to last, wash after wash, few fabrics perform time and again like denim does. The Bronx apron features a Selvage (frayed) edged double front pocket. 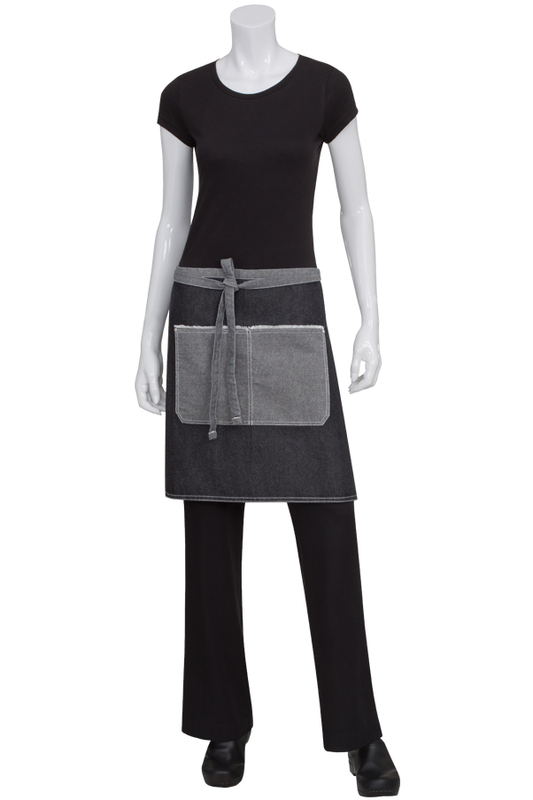 This server apron is fashionable and functional solution for your waitstaff, perfect for the new urban chic style of today's modern uniform trends and the current hip restaurant scene.